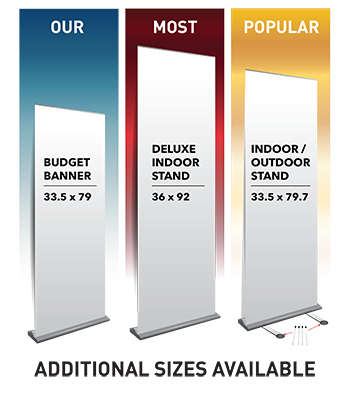 Retractable banners are the ultimate signage solution for trade shows, events and conferences. All retractable banners include a carrying case. Standard size: 33.5 x 79 in.